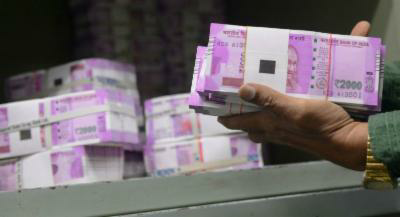 New Delhi: Soon the Rs 2,000 note will no longer be a legal tender. In simple terms the government may soon ban the Rs 2,000 note. This, after strong criticism of government’s move to introduce the Rs 2,000 note by the experts and the opposition. The general feeling is that the Rs 2,000 note will increase corruption and bribery instead of curbing it. Thus, the Rs 500 note may soon be the highest denomination note in the country. S Gurumurthy, the economic thinker aligned with RSS, has claimed that the Rs 2,000 note will be banned in next 5 years. He says that Rs 2000 is “only a bridge” as the government had to bring it in place of the old Rs 1000 notes for the time being. The Rs 2000 notes will be phased out in the next 4-5 years. Gurumurthy claimed that the Rs 2,000 note was introduced in a hurry to tide over the immediate cash crisis following the note ban, and it will be no longer a legal tender once the cash crisis stabilises. This statement is significant as Gurumurthy is a seasoned face and the government consults him on several issues. Moreover, the Opposition leaders like Arvind Kejriwal have wondered as to how introducing Rs 2000 notes would end corruption or black money. However, the government is keeping secrets and it would be confident that removal of Rs 2000 notes won’t lead to loss of people’s confidence or trust in the currency. For the government is now promoting digital currency and it hopes that in the next five years, people will prefer digital transactions over the cash-based transactions. In such a situation, Rs 2000 notes would automatically become obsolete.